An ethereal body range with 4 aromatic synergies, 4 benefits, 4 sensory journeys that will transport you to iconic regions of France and it's territories. A Video says a thousand words..this is s good one to watch to give you ideas about what you's like to select for your Aroma Fusion Treatment. I suggest getting one WITH the Facial. Inhale & Exhale for a feeling of luxurious calm. Targeted Action for Beautiful Contours! With this fine & lightweight Oil, tone, nourish, soften & smooth your skin effortlessly. Pink Pepper oil renowned for it's fat metabolizing effects combines with massage to effectively improve the appearance of dimpled skin. A must-have product for a noticeably sculpted & toned figure. 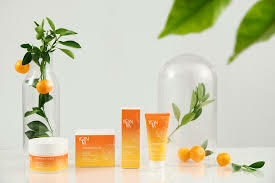 Boost your vitality & balance & eliminate stress with this vibrant line enriched with essential oils of Mandarin & Sweet Orange. Its Fragrances, reminiscent of Corsica...and invitation to well-being! With this lavender blue range, each product is richly concentrated in essential oils of Lavender & Everlasting, iconic plants of Provence, renew yourself with a total body detoxifying treatment. The Allure of Letting Go!! Head off to Polynesia with its Tiare flower & Jasmine fragrances, a relaxing line. With its delicate & feminine pink packaging, it holds the promise of a well-deserved break from our busy lives. Each client is offered a highly personalized experience. This YONKA treatment is the elite “AROMA-LUXE”, a completely manual YON-KA massage of relaxing, draining and energizing techniques for a highly relaxing and renewing experience. While Gayle specializes in deep tissue massage, she is happy to customize her touch upon client request. Gayle keeps a full inventory of the entire Yon-Ka AROMA-FUSION prestigious product line for clients to continue their “phyto-aromatic journey” at home.